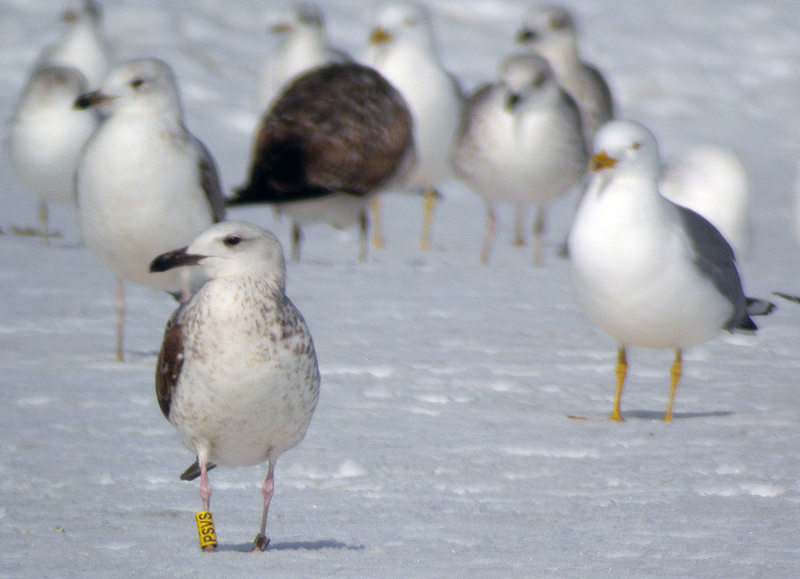 Larus cachinnans 2CY PSVS February 17 2012, Zagreb, Croatia. 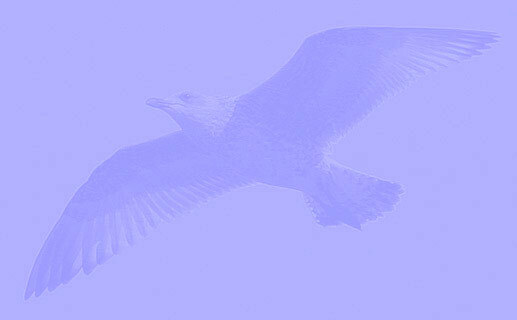 Picture: Ruud Altenburg. 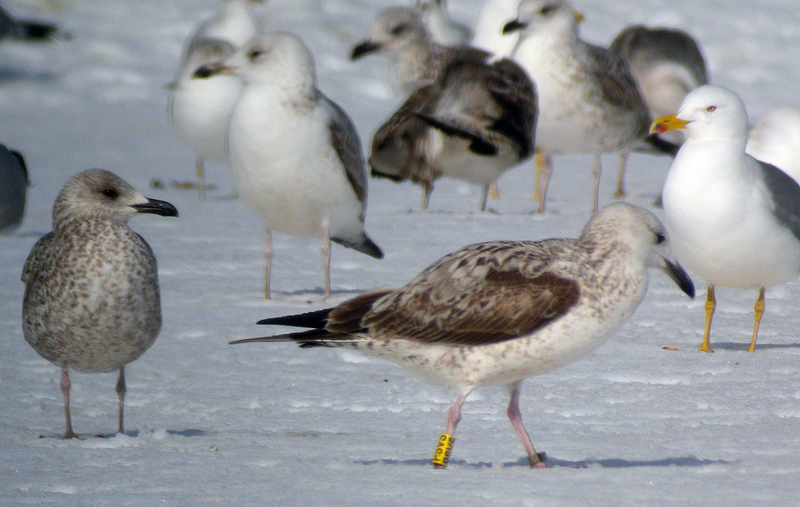 Bird ringed yellow PSVS & metal UKK L-011123, ringed as pullus on June 10 2011 at Cherkasy Kreminchuk reservoir Ukraine (49,401 32,15). Beautiful characteristic pattern on lower scapulars (last moulted feathers). Several coverts replaced as well, quite randomly. 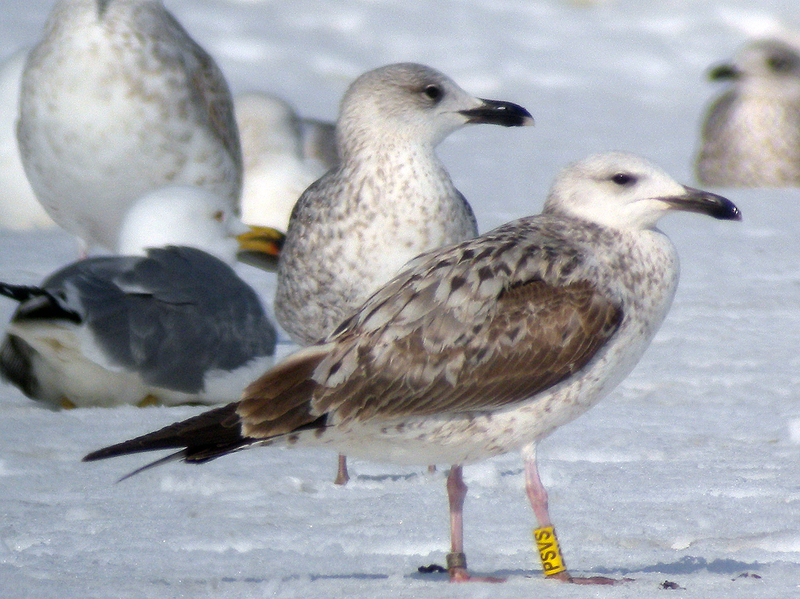 Sum score is 17, in range of pure Caspian Gull.